1- the first phase of the operation was very successful. During this phase, all the roads South of Mosul were recaptured, as well recapturing key villages to ISIL, like Al-A’thba, Saiytarat Al-A’qrab, and Al-Bu Sayif villages. 2- The Federal Police forces are surrounding Mosul Airport and Al-Ghuzlani military camp and waiting to finish scanning the area before recapturing them. The reason is because ISIL left tge camp and the airport two weeks before the operations were launched. 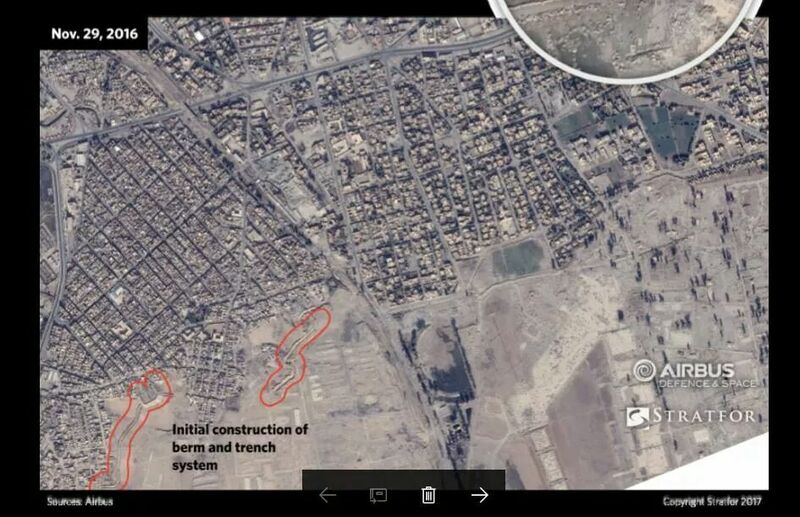 We aslo posted several arial maps that show ISIL’s defense lines were built to the north of the airport, which it means that ISIL abandoned the airport and might have left traps and car bombs there. Hence, the wait for the scan results. 3- The liberation of Al-Bu Sayif village gave an important chance for the elite force of tge Golden Brigade to use Al-Shamsiyat road to pas towards Al-Yarmuk village. This was the first passage of the Tigris river from the eastern bank to the western bank. 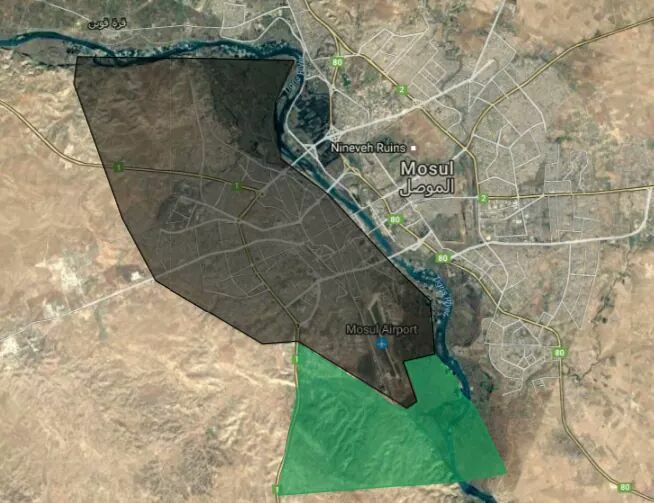 4- There is no major displacement of residents south of Mosul. According to Ali Hashim, a member of the Federal Police, only tens of residents were able to reach out to the security forces after carrying white flags. They were housed at several empty houses in the area temporarily to protect them. Also, there are ISIL snipers who targeted several IDPs during their displacement. 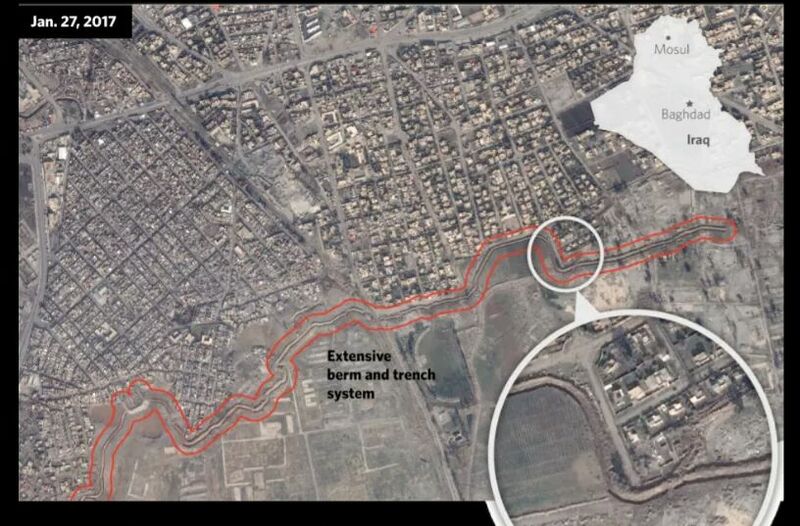 6- There are no major attacks with car bombs, unlike what happened on the eastern bank when the operations started. As’ad Abullah, a leader in the Federal Police, said that only 9 car bombs ISIL sent out during the operations, 5 of which were destroyed and 4 failed their mission.